5% discount with “I Voted” sticker! - St Angelo Hardwoods, Inc.St Angelo Hardwoods, Inc.
We have a special process in this country which gives us the opportunity to choose which people are best suited to run the country. Not our lives, but the well-being of these great United States of America. Our country has never been more divided on so many issues. This is mainly because this country has never had a complete lack of leadership like we have today. Please get out and vote on Tuesday, November 4th! You do and can make a difference. We will show our appreciation to you by offering a 5% discount from your total invoice on November 4th only. 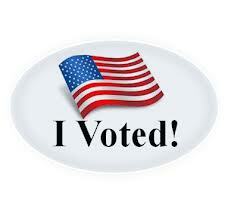 All you have to do is show us your “I Voted” sticker that you receive at your polling station.